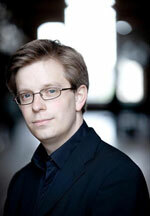 Will Dawes is the Conductor of Bath Choral Society, Henley Choral Society, Ensemble 45, Chorusmaster for Ludus Baroque, and Director of Music at the church of St Mary Magdalen, Oxford. He is a graduate of the RAM where he studied Choral Conducting and Singing. Will is active as a consort singer and is a member of the internationally acclaimed vocal ensemble Stile Antico. The group performs all over the globe, including concerts in the Wigmore Hall and at the BBC Proms. He is a former Lay Clerk of Christ Church, Oxford, and has sung with Collegium Vocale Gent and Polyphony.